Craftin' Caro: Team Holiday Party! 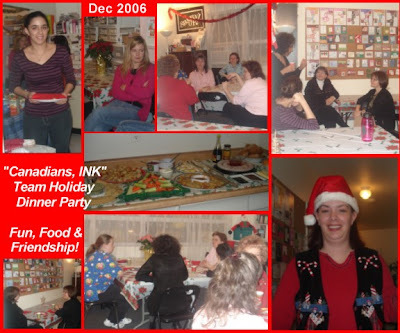 Thanks so much to everyone who came on Friday night for the "Canadians, INK!" Team Holiday Party! I had a wonderful evening (despite the bronchitis) and it was a real pleasure to be able to treat you all to a well deserved holiday feast, and more desserts than we could eat!! !